On November 24, 2015, DOJ announced here that the following Swiss banks have entered NPAs under the DOJ program for Swiss banks, here. In a few instances, IHAG assisted certain recalcitrant U.S. persons in further concealing undisclosed accounts by moving the funds to another jurisdiction and returning the funds to IHAG in a different name in order to conceal the U.S. persons’ ownership of the assets and enable the recalcitrant accountholders to continue to maintain undeclared accounts at IHAG. For example, a family of U.S. persons held assets at IHAG in the name of a Liechtenstein foundation, and another unrelated U.S. person held funds in the name of a Panama foundation. These foundation structures were designed to conceal the true beneficial ownership of the assets. In the case of the Panama foundation, IHAG assisted the U.S. person in creating the foundation. The value of the assets in the two accounts together totaled approximately $63 million. To assist these U.S. clients in further concealing their assets and evading U.S. taxes, in order to maintain these recalcitrant individuals as IHAG clients, IHAG personnel – with the assistance of an unaffiliated fiduciary services firm in Zurich and with the knowledge and approval of bank management – moved assets from the two foundation accounts to an unaffiliated bank in Hong Kong. The funds then returned to IHAG under the name of a Singapore entity wholly owned by IHAG’s parent company, IHAG Holding, so that the accounts would bear no trace of the U.S. persons’ beneficial interest in the assets held in the accounts. The multi-step scheme also involved an entity in Hong Kong in which IHAG Holding owned a minority interest. This scheme enabled the assets to be stripped of any indicia of U.S. ownership. In effectuating this scheme, IHAG took advantage of Swiss law, which allowed IHAG in these circumstances to treat the accounts as if know-your-customer review of the accounts had occurred in Singapore. Accordingly, IHAG did not apply Swiss know-your-customer requirements when the accounts returned to IHAG under a different name. IHAG’s files for the accounts deliberately did not contain any documentation of the U.S. persons’ interest in the assets in the accounts. IHAG knowingly and willfully committed tax fraud with respect to those accounts. The government must prove beyond a reasonable doubt that the Defendant acted willfully. A defendant does not act willfully if he believes in good faith that his actions comply with the law. Therefore, if the Defendant believed that what he was doing was in accord with the tax statutes, he cannot be said to have acted with criminal intent. Therefore, if you find that the Defendant honestly believed that he was not violating the tax laws, even if that belief was unreasonable or irrational, then you should find him not guilty. However, you may consider whether the Defendant's belief was actually reasonable as a factor in deciding whether he held that good faith belief. The burden of establishing lack of good faith and criminal intent rests upon the prosecution. A defendant is under no burden to prove his good faith; rather, the prosecution must prove bad faith beyond a reasonable doubt. The Government objected to the instruction on the grounds that the second paragraph was an incorrect statement of law. During a pretrial conference, defense counsel admitted that the Government's objection was meritorious but maintained that the remainder of the instruction [the first paragraph] was correct. Immediately before instructing the jury, Carter's "Counsel averred that, under Cheek, 'if the defendant ultimately believed that he was not violating any tax laws, even if that belief is unreasonable or irrational, then you should find him not guilty.'" Carter's acts in connection with income tax returns are not willful if they are done through inadvertence, carelessness, justified excuse, or honest misunderstanding of the law. The defendant is not guilty of willfully preparing a false or fraudulent return if he in good faith believes that the return, as he prepared it, truthfully reports the client's income-tax information. Even if the income was understated or the deductions or credits were overstated, he is not guilty unless he knew the return to be false and authorized its filing with the intent to violate the law. On appeal, the Government conceded that the Court erred in not giving the Cheek instruction that a belief of legality, even if unreasonable, defeats the willfulness required to convict for tax crimes requiring that the defendant act willfully. Carter's sole argument on appeal is that the district court committed reversible error by failing to include in its willfulness instruction to the jury "that a good faith belief may be objectively unreasonable if sincerely held." In view of the Government's concession that the district court committed error, we simply review for harmless error. Thus, the salient question before us is whether, "in light of the entire record, the challenged instruction could not have affected the outcome of the case." United States v. Demmitt, 706 F.3d 665, 675 (5th Cir. 2013) (internal quotation marks omitted); see also United States v. Nguyen, 493 F.3d 613, 623 (5th Cir. 2007) (same). On November 19, 2015, DOJ announced here that the following Swiss banks have entered NPAs under the DOJ program for Swiss banks, here. The aggregate amount for these banks is $81,856,000. I thought the following actions required by the program interesting as a reminder that the DOJ Swiss Bank Program covers only the banks and not their personnel and affiliations, such as asset managers (at least the egregious actors among their personnel and affiliations). The banks will be added to the IRS's Foreign Financial Institutions or Facilitators, here. Accountholders in the listed banks joining OVDP after one of their banks are listed will be subject to the 50% penalty in OVDP (provided that they do not opt out, in which case, who knows?). Starting with the announcement of three banks joining the DOJ Swiss Bank Program that I will post shortly after this posting, I will provide more summary reviews of the announcements. In the past, I had cut and pasted the portions of the press releases explaining the types of actions the banks committed that impelled them to join the program to receive assurance of nonprosecution through NonProseuction Agreements. Basically, these types of actions are common among these banks, with some immaterial variations in how they were implemented. Accordingly, I will only provide summary information of the banks and penalties, will provide a link to the DOJ Tax Press Release, and will continue to present the aggregate public data for the program. If, in reviewing the press releases, I find something I think is particularly interesting, I will cut and paste it only that portion and perhaps comment on it. But, since, within reasonable tolerances, the game and the actions is the same, I do not expect to do that too often. A reminder that the press releases have links to the Deferred Prosecution Agreement and Supporting State of Facts. The press releases, NonProsecution Agreements and Statements of Fact are also available on the DOJ Tax's Web Site titled: Swiss Bank Program, here. On that site, the banks are listed in order of the date of the NPA. Accordingly, for easier reference, I will post periodically a list of the banks in alphabetical order. On November 17, 2015, DOJ announced here that Maerki Baumann & Co. AG has entered an NPA under the DOJ program for Swiss banks, here. According to the terms of the non-prosecution agreement signed today, Maerki Baumann agrees to cooperate in any related criminal or civil proceedings, demonstrate its implementation of controls to stop misconduct involving undeclared U.S. accounts and pay a penalty in return for the department’s agreement not to prosecute this bank for tax-related criminal offenses. Maerki Baumann is a family-owned private bank organized under the laws of Switzerland. It is headquartered in Zurich, Switzerland, and has a branch office in Lugano, Switzerland. In the 1990s, Maerki Baumann developed a relationship with a Swiss referral source that introduced clients to Maerki Baumann primarily from the United States. This source was affiliated with an insurance company that also deposited with Maerki Baumann pooled assets from its insurance customers. Maerki Baumann understood that most were U.S. persons. At some point in the late 1990s or early 2000s, Maerki Baumann also began receiving referrals of U.S. clients from an external asset manager based in the United States. These referrals included clients with undeclared accounts. Although Maerki Baumann had long had U.S. clients, it had no formal U.S. desk or team until 2001, when it consolidated responsibility for U.S. clients into what had been the “Swiss team” and renamed it the “Swiss/U.S. team.” Maerki Baumann increased its focus on its U.S. cross-border business from 2003 to 2005. In 2003, Maerki Baumann hired a relationship manager (RM-1) from the U.S./Canada desk at another bank. RM-1 introduced Maerki Baumann to another relationship manager (RM-2), with whom RM-1 had previously worked at another bank and who had significant experience servicing U.S. accounts. Maerki Baumann hired RM-2 in 2005 with the expectation that RM-2 would provide expertise to the U.S. side of Maerki Baumann’s Swiss/U.S. team and actively recruit additional U.S. clients. By the end of 2005, in addition to the head of the Swiss/U.S. team, the U.S. component of Maerki Baumann’s Swiss/U.S. team consisted of three relationship managers, including RM-1 and RM-2. The client base of these relationship managers consisted largely of U.S. clients. Later, these relationship managers were assisted by three junior members of the Swiss/U.S. team. On approximately 35 occasions, relationship managers traveled to the United States to meet with U.S. clients for the purpose of building and maintaining relationships with these clients. Maerki Baumann terminated RM-2’s employment in 2008. In 2011, RM-2 was charged in a federal court in the United States with conspiring to impede and impair the Internal Revenue Service (IRS) in the ascertainment, computation, assessment and collection of U.S. income taxes, in connection with RM-2’s activities at a bank other than Maerki Baumann. Maerki Baumann opened, maintained and serviced accounts for U.S. persons that it knew or had reason to know were likely not declared as required by U.S. law. Maerki Baumann also offered a variety of traditional Swiss banking services, including hold mail instructions and numbered accounts, that it knew could assist, and did in fact assist, U.S. clients in the concealment of assets and income from the IRS. The combination of hold mail instructions and numbered accounts on undeclared accounts significantly reduced the ability of the IRS to learn the identities of the U.S. persons. Maerki Baumann also allowed U.S. persons to maintain accounts held in the name of non-operating non-U.S. corporations or other legal entities that were beneficially owned by these U.S. persons. The jurisdictions in which the entities were incorporated or formed included Liechtenstein, Panama and the British Virgin Islands. On at least two occasions, relationship managers met directly with the beneficial owners of the Maerki Baumann accounts held by the entities. Between 2004 and 2008, on approximately a monthly basis (but sometimes more often), RM-1 received from U.S. clients checks ranging from just under $10,000 to $85,000, which were drawn on U.S. company accounts in California, for deposit into accounts beneficially owned by those U.S. clients or their designees. The correspondence accompanying the checks stated that the checks were for “materials purchased” and instructed the relationship manager to “process the purchase orders as needed,” and many of the checks themselves bore the notation “see purchase order.” However, there were no purchase orders attached, and Maerki Baumann was never provided with any purchase orders. Additionally, RM-1’s notes state that certain checks were for under $10,000 “in order to avoid any unnecessary attention.” Likewise, with respect to at least two U.S.-related accounts, relationship managers knew between 2003 and 2005 that the client was structuring the transactions to avoid currency transaction reporting requirements. What does it mean to say that an overt act is required for conviction of a general conspiracy (including a Klein conspiracy)? Certainly, the indictment must plead the overt act element and the jury must find the existence of the element in order to convict. But many indictments merely plead generally the existence of at least one overt act in furtherance of the conspiracy, without specifying the overt act itself; the jury then finds in a general guilty verdict that at least one unspecified overt act occurred. Must the indictment be more specific as to the precise overt act or acts alleged to support conviction? Must the jury specifically find and reach unanimity as to one or more overt acts that support the general verdict of conviction? The sparse authority addressing the issue directly seems to support the proposition that the jury need not be unanimous as to any overt act. In United States v. Molen, 2015 U.S. App. LEXIS 19614 (9th Cir. 2015), unpublished, here, the Ninth Circuit addressed much the same question in the tax obstruction statute, § 7212(a), here. 3. We need not address whether the 26 U.S.C. § 7212(a) charge required a specific unanimity instruction because Molen's substantial rights were not violated. See United States v. Pelisamen, 641 F.3d 399, 404 (9th Cir. 2011) (explaining that, where defendant does not object to jury instructions at trial, relief is unwarranted unless there has been plain error that affects the defendant's substantial rights and the fairness or integrity of the proceedings). The jury's guilty verdict on counts one and two, the § 1521 charges, established a unanimous finding that Molen filed a false lien against IRS officers, one of the obstructive means alleged in the indictment. See United States v. Chen Chian Liu, 631 F.3d 993, 1000-01 (9th Cir. 2011). Moreover, overwhelming evidence demonstrated that Molen filed the lien with an intent to secure an unlawful benefit, satisfying the requirement under § 7212(a) that the obstructive means were undertaken "corruptly." See United States v. Massey, 419 F.3d 1008, 1010-11 (9th Cir. 2005). The tax obstruction statute has been described as a one-person Klein / defraud conspiracy. See CTM 17.02 (2001 ed.) where DOJ Tax asserted that tax obstruction may be charged where the Klein conspiracy is “unavailable due to insufficient evidence of conspiracy,” although that statement is omitted from the 2008 ed. ); see also David F. Axelrod, Larry A. Campagna, James A. Bruton III, The “New” Tax Laws - 26 U.S.C. 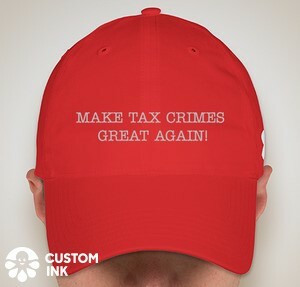 Section 7212(a) and the One-Person Conspiracy (Paper prepared for ABA National Institute on Criminal Tax Fraud in 1999). So, the learning from the overt act requirement appears relevant. Keep in mind that the Ninth Circuit's resolution of the issue in Molen was under the stringent plain error standard -- it might have been error if properly and timely raised; it was just not plain error. On November 13, 2015, DOJ announced here that Standard Chartered Bank (Switzerland) SA, en liquidation (SCB Switzerland) has entered an NPA under the DOJ program for Swiss banks, here. SCB Switzerland is a private bank with a single office located in Geneva, Switzerland. It is a wholly owned subsidiary of Standard Chartered PLC, a British multinational banking and financial services company headquartered in London. SCB Switzerland joined the Standard Chartered group of entities (the Standard Chartered Group) in May 2008 when Standard Chartered PLC acquired American Express Bank Ltd. As part of that acquisition, Standard Chartered Group acquired American Express Bank (Switzerland) SA, a private bank incorporated in Switzerland in 1987, which thereafter operated under the name SCB (Switzerland) SA. In early 2014, the Standard Chartered Group decided to cease its Swiss private banking operations for commercial reasons. SCB Switzerland is now in voluntary formal liquidation. Subject to Swiss regulatory approval, SCB Switzerland expects to return its banking license at the end of 2015, and then the entity will continue to exist as a corporation in liquidation until at least the end of 2018, without banking status or supervision by Swiss Financial Market Supervisory Authority FINMA and with no operations other than completing the wind down. Accepted and included in its account records Internal Revenue Service (IRS) Forms W-8BEN (or equivalent documents) provided by the directors of the offshore companies that falsely represented that such companies were the beneficial owners of the assets in those accounts for U.S. federal income tax purposes. SCB Switzerland opened and maintained accounts for certain U.S. persons in the name of structures, including trusts created by American Express and inherited and maintained by affiliates of SCB Switzerland, which served as the nominal accountholders of bank accounts that held assets that, in reality, belonged to U.S. persons. SCB Switzerland adopted the Advisory Center/Booking Center Model from American Express Bank. This method allowed clients to book and hold accounts in any of Standard Chartered Group’s booking centers, including Geneva, while working with relationship managers at other locations throughout the world. The Group also acquired a trust center from American Express Bank. Trust services were available to eligible clients who wished to set up trusts or private investment companies. The trust centers were located in Guernsey, Singapore and the Cayman Islands. A client could create a trust structure in any one of the trust centers while opening an account in another booking center and working with a relationship manager in another advisory center. SCB Switzerland maintained one account held by a British Virgin Islands private investment company, of which the beneficial owner was a U.S. citizen. The beneficial owner had provided SCB Switzerland with a false W-8BEN, and SCB Switzerland was unaware of the U.S. citizenship of the beneficial owner until 2010. In 2010, a compliance officer discovered the beneficial owner’s U.S. citizenship through a periodic review of the account that included an Internet search. Nevertheless, SCB Switzerland maintained the account for approximately two years after discovering that the beneficial owner was a U.S. citizen. Since Aug. 1, 2008, SCB Switzerland held 22 U.S.-related accounts, comprising a peak of aggregated assets under management of $33.1 million. SCB Switzerland will pay a penalty of $6.337 million. I previously reported on the denial of the Tweel type claim that the IRS civil agent been conducting a criminal investigation. See Court Holds that Civil Agent Did Not Continue Investigation Too Long and Even If Deceptive Did Not Prejudice Defendant (5/2/15), here, discussing United States v. Hee, 2015 U.S. Dist. LEXIS 54971 (D. HI Apr. 27, 2015). Hee sought in that pre-trial motion to have the indictment dismissed or, alternatively, to suppress certain evidence. Usually, this type of claim, if valid, would suppress statements that defendant made to the civil agent who conducted a criminal investigation in the guise of a civil investigation. As reported in the prior blog, the Court denied the motion (as well as other motions). The case went to trial. The jury convicted Hee of one count of tax obstruction, § 7212(a), here, and 6 counts of tax perjury, § 7206(1), here. Hee then filed post-trial motions on several issues. The Court rejected the post-trial motions. United States v. Hee, 2015 U.S. Dist. LXIS 145406 (D. HI 2015), here. The Court also rejected a pre-conviction motion that had been deferred. I only discuss the ones I found most interesting. Hee renewed his Tweel Claim. The Court discusses the renewed claim, including a focus on the relevant facts and law, and denies the motion for the same reasons noted in the earlier blog. I will not discuss this denial of the renewed claim, but it is interesting reading even though substantially redundant to the prior discussion. Hee's trial commenced on June 23, 2015. On July 6, 2015, as the trial was nearing conclusion, Hee submitted his motion concerning grand jury issues. The court discussed with the attorneys the scheduling of briefing and a hearing on the motion. Attorneys for the Government and for Hee noted that the motion could be heard following trial, and Hee's attorney expressly stated that the trial did not need to be interrupted for a decision on the motion. Briefing and a hearing were therefore scheduled for dates following the completion of the trial. With the motion awaiting further briefing, the petit jury returned a verdict of guilty beyond a reasonable doubt on all counts. I emphasize in bold the key fact. On October 29, 2015, the Senate Foreign Relations Committee had a hearing on pending amendments to several tax treaties and tax protocols, including one for the Switzerland-U.S. tax treaty. The hearing can be viewed here. Two key witnesses testified. One was Robert Stack, Treasury deputy assistant secretary (international tax affairs). Stack's prepared opening statement is here. The other was Thomas Barthold, chief of staff, Joint Committee on Taxation. Barthold's statement can be downloaded here. Both statements offer excellent introductions to the U.S. tax treaty system and to the specific treaties and protocols being considered. I highly recommend them. Given the focus on Switzerland in this blog, I thought it might be helpful to excerpt the portions of the statements dealing with Switzerland. As noted above, effective information exchange to combat tax evasion and ensure full and fair enforcement of the tax laws is a top priority for the United States. A key provision found in all modern U.S. tax treaties is a rule that obligates the competent authorities of the two countries to obtain and exchange information that is foreseeably relevant to tax administration in the requesting country. In recent years there has been a global recognition of the need to strive for greater transparency and for full exchange of information between revenue authorities to combat tax evasion. The United States has taken a leading role in this movement. The proposed protocols amending the bilateral tax treaties with Switzerland and Luxembourg and the Multilateral Convention that are before the Committee today are intended to ensure full exchange of information to prevent tax evasion and enhance transparency. These proposed protocols incorporate the modern international standards for exchange of information, which require countries to obtain and exchange information for both civil and criminal matters, and which require the tax authorities to obtain and exchange information held by banks or other financial institutions. The international standards on transparency and exchange of information for tax purposes are now virtually universally accepted in the global community. Indeed, all jurisdictions surveyed by the Global Forum on Transparency and Exchange of Information for Tax Purposes (the Global Forum) are now committed to implementing these standards. The Global Forum, now the largest international tax group in the world with 126 member jurisdictions (and fifteen observing members), endorses exchange of information. The Global Forum uses a robust and comprehensive monitoring and peer review process by evaluating the compliance of jurisdictions with the international standards of transparency. Initiated by the Organization for Economic Cooperation and Development (OECD), the Global Forum has been a driving force behind the acceptance and implementation of international standards. The United States actively participates in the Global Forum. Treasury’s Offices of Tax Policy and General Counsel, and IRS’s Office of Chief Counsel and its Large Business and International Division have devoted substantial resources over the past two years both to the peer review of U.S. rules and procedures and to our role as members of the Steering Group and Peer Review Group of the Forum. In addition, the G-20 has, for the past several years, stressed the importance of quickly implementing the international standards for transparency and exchange of information. It has also requested proposals to make it easier for developing countries to secure the benefits of the new cooperative tax environment, including a multilateral approach for the exchange of information. Against the backdrop of the Global Forum and the G-20 process, the proposed Protocol to the Multilateral Convention was opened for signature on May 27, 2010. The Multilateral Convention is an instrument that permits its signatories to exchange information for tax purposes. However, because it was signed in 1989, its provisions are out-of-date in many respects and do not conform to current international standards for transparency and exchange of information. In addition, prior to its amendment by the proposed protocol, the Multilateral Convention was open for accession only to member countries of either the Council of Europe or the OECD. The proposed protocol to the Multilateral Convention conforms the existing agreement to the current international standards for exchange of information, and opens the agreement for signature by any country, provided that the Parties have provided unanimous consent. This important agreement is therefore a centerpiece to the global effort to improve transparency and foster full exchange of information between tax authorities. I posted recently on a Tax Justice Network study ranking the U.S. 3rd in financial secrecy. Tax Justice Network Study of Financial Secrecy with U.S. Third Most Opaque (Federal Tax Crimes Blog 11/14/15), here. One of the issues is that opacity of U.S. entity structures. The beneficial owners of corporations and other entities may simply not be known. And states permitting such entities to be organized usually do not request any representations of ownership. So, shady actors can easily fly under the law enforcement -- including tax enforcement -- radar screen. Hence, the U.S. may facilitate evasion of other countries' taxes by offering foreign investors secrecy as to their investments in the U.S.
“Sham LLCs are a huge problem in terms of their lack of transparency, in terms of who is behind the property and who is behind these schemes,” said Jennifer Sinton, a lawyer with South Brooklyn Legal Services * * * . While this is a different law enforcement problem that encountered in the use of opaque entities to hide ownership of foreign accounts and other foreign assets in order to avoid paying U.S. tax, the theme is the same -- lack of transparency permitting laws to be skirted. I don't know that there are easy solutions. In Youssefzadeh v. Commissioner, Order (11/6/15), here, on Schedule B for 2011, the taxpayer "refused to answer some questions and fill in some values." Instead, he "invoked his Fifth Amendment privilege against self-incrimination, and wrote that if (sic) his answers to these questions might lead to (or actually be) incriminating evidence against him.." Later in the order, the Court says that the taxpayer "did black out the source and amount of some interest on Schedule B, but importantly, he included the total amount of interest on line 4." The IRS asserted a frivolous return penalty under § 6702(a), here. The taxpayer contested the penalty in a CDP proceeding. The Tax Court held that he had properly invoked his Fifth Amendment privilege and therefore rejected the IRS's assertion of the frivolous return penalty. fn. E.g., United States v. Goetz, 746 F.2d 705, 710 (11th Cir. 1984); United States v. Brown, 600 F.2d 248, 252 (10th Cir. 1979), cert. denied, 444 U.S. 917 (1979); United States v. Johnson, 577 F.2d 1304, 1311 (5th Cir. 1978). Under U.S. tax law, the estates of foreign holders of U.S. assets, such as stocks, real estate and valuables, are required to pay estate taxes on those assets after the death of the owner. There's even a handy piece of IRS paperwork — form 706-NA — to help calculate the tax. But one veteran Swiss banker tells CNBC that this rule is widely ignored around the world, and the U.S. government has no way to know how much money it is owed under its laws. Exactly how much money foreigners owe in U.S. estate taxes each year is unclear — it appears to be a blind spot for the IRS. The tax-gathering agency publishes a detailed report every several years on what it calls the "tax gap," or the difference between what taxpayers should pay and what they actually cough up to Uncle Sam. But the report doesn't attempt to estimate overseas estate taxes. "There's no estimate for international noncompliance," said an IRS official. "That's kind of the 800-pound gorilla that's not in the room." A back-of-the-envelope analysis by CNBC of estate tax payment patterns and total foreign holdings of U.S. stocks and real estate concluded that the IRS is missing several billion dollars in foreign estate taxes each year — money that could help a cash-strapped U.S. Treasury pay the nation's bills. The issue emerges at a time when foreign investment in the United States is on the upswing. Goldman Sachs reported in January that foreign ownership of U.S. stocks totaled 16 percent in 2014, the highest rate in the 69 years such records have been kept. Despite that, publicly available statistics from the IRS show that very few foreign citizens file estate tax paperwork. According to the agency's data, just 849 people worldwide filed nonresident alien estate tax returns in 2014, paying just more than $60 million in net taxes to the IRS. Those figures pale in comparison to the breathtaking scale of U.S. assets owned by foreigners. Consider two of the asset categories covered by the estate tax on foreigners: U.S. stocks and real estate. The U.S. Treasury says that overseas individuals own about $6.7 trillion in U.S. equities. Much of that value could qualify for the estate tax when stockholders die. But according to the IRS, only 59 people in the countries that have tax treaties with the United States filed taxable returns disclosing stock holdings in 2014. The number wasn't much bigger in the countries that do not have tax treaties. Just 93 people in those countries filed such returns. That's less than two people per country. The report is much offers much more detail as to the potential scope of the tax avoidance and the difficulties the IRS faces in enforcing the tax. I recommend the full report.